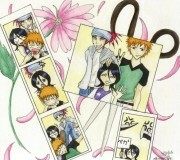 He is my most favoutrite character from Bleach anime. 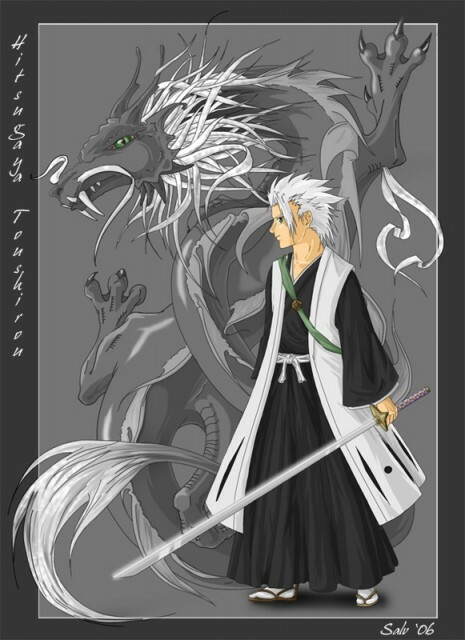 Dragon on the background doesn't represent his Soul Slayer - it's Hitsugaya's possible dragon-looking inner soul. I don't know what you mean by his inner soul (maybe you really do mean his zanpakutou's inner soul), but that's awesome. I wish I could do something like that ~_~ Thanks for sharing! I have not seen Bleach so far to know much about Hitsugaya, but he seems to be a good captain. yeah, hitsugaya is my favorite character as well, he's just plain... cool, lol. well, thanks for sharing, it looks great! My favorite character as well ;) Too bad we don't see him more often. 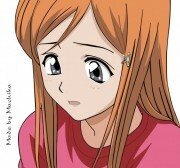 Nice job with the colors and shadings. And the dragon is so detailed, impressive. How about doing one with his Bankai Blue Water Dragon? hitsu is awesome. very lovely artwork and especially great detail with the dragon.